Obama doesn't care about Trump's policies. All he cares about is getting revenge for being humiliated so completely. He did everything he could to get Hillary elected, and it wasn't enough. He's been replaced by the one guy on the planet who's a bigger narcissist than he is, and he can't stand it. IMHO, Roseanne wanted out of this show. She does not need the money. The show had a distinctive agenda. It featured a cross dressing child, discussion of Moslems and justification for their immigration into Western culture, and a host of other agenda items that felt dishonest to me. I know the old 8 seasons of Roseanne, almost by heart. There was a heartwarming feeling to the other shows that was missing in this one. 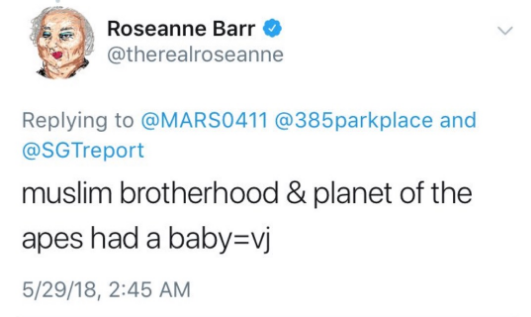 Roseanne needs to write her own show, not be handed a script from ABC. I believe that she looked at the next season’s scripts and decided that in order to get out of the contract, they had to fire her, she could not quit w/o a breach of contract action against her by ABC. ABC, on the other hand, messed up badly. By letting the show go, they leave it open for Roseanne to write her own script and sell it to someone else, who has no control over content. The show will be better that way, if Roseanne decides to do it somewhere else. Meanwhile, ABC/Disney has taken a 30 percent drop in stock value as people unload the loser company’s stock. Neon this was some of your finest work, proving yet again you stand out amongst decoders. You are a Professor of the Truth and i thank you! 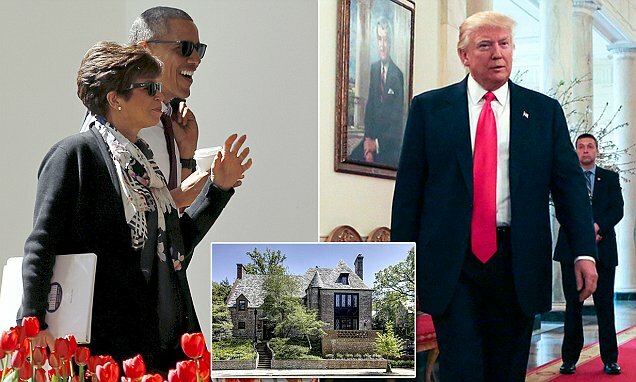 @therealroseanne’s tweet will turn out to be a good thing in that it will bring out all the corruption perpetrated by @ValerieJarrett and @BarackObama for #TheMuslimBrotherhood. Thanks Roseanne. Very interesting article! I am glad I found your website. It has been very useful to me. This commie woman seems to play a key part in this demonic plan of the cabal. God, how I pray for justice to come…. Thinking about how evil these people are makes me want to vomit! Wow! Just when I thought it couldn’t get any “better”! 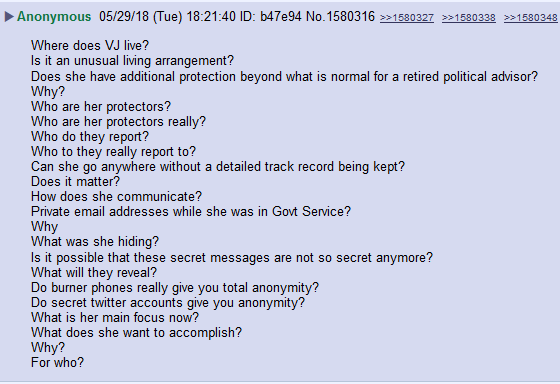 From one of your previous articles, I knew a little about VJ, but this! No wonder Chicago is so f’d up!!!!! Thank you so much for this!!!!! Only slightly related, but there was a novel from the late 80’s on the same premise. The KGB had undercover spies competing for cabinet positions, the main character became chairman of the Fed to intentionally tank the economy. Interestingly, the other half of the book was the POV of the hitman that helped him thin the competition, odd reflection of reality. Not only did they pull her current show but they also pulled the reruns that I watch every night on Laff TV. I’ve watched them every night from 9pm-11pm and now they suddenly replaced them with Night Court. I hope she continues the fight on Twitter and doesn’t delete her account like she said she would. 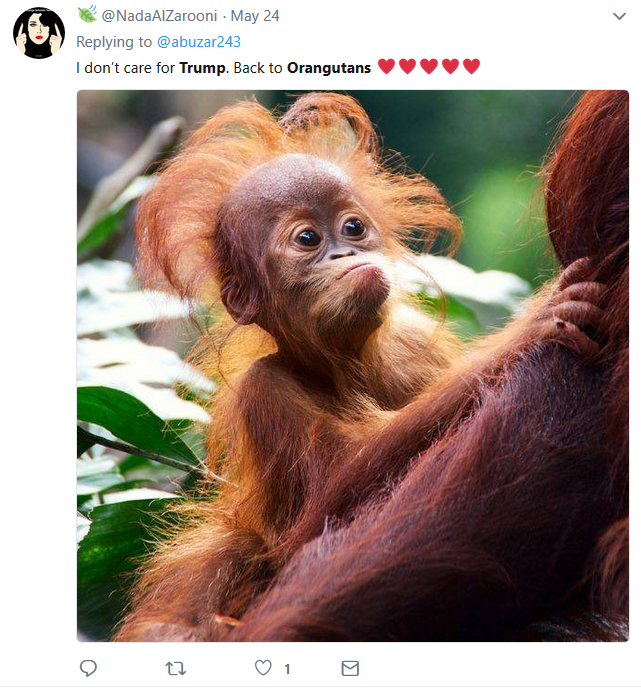 She was born in Iran too! Another terrific post! Had been away from the computer yesterday until the afternoon when I finally had a minute to run through my Twitter feed. All I saw were posts about the Rosanne show being cancelled. Thought I’m gone for a little while and all this happens. Was upset at first but kept thinking about Rosanne’s earlier CC post and how that had already stirred the pot. 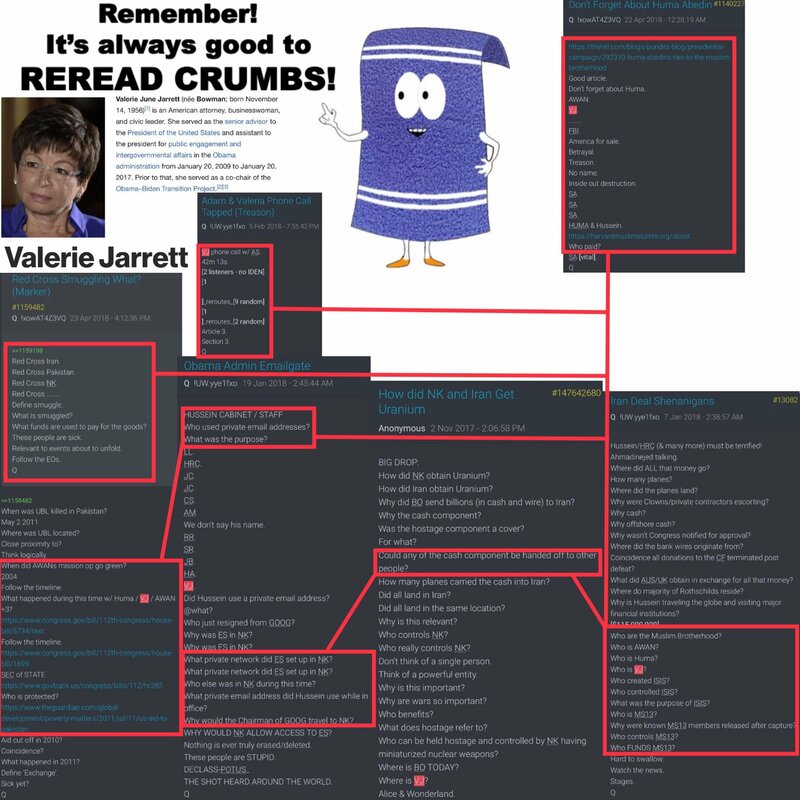 Then I tweeted that was it was actually a brilliant move, because now there were a few questions everyone was going to be asking, “Who is Valerie Jarett?” along with “Who or what is QAnon?” So many will be taking the red pill. Didn’t they know people would wonder how the #1 show on ABC got cancelled? Respectfully, I think you’re much too optimistic. Millions of people out there have no inclination to even scratch beneath the surface. 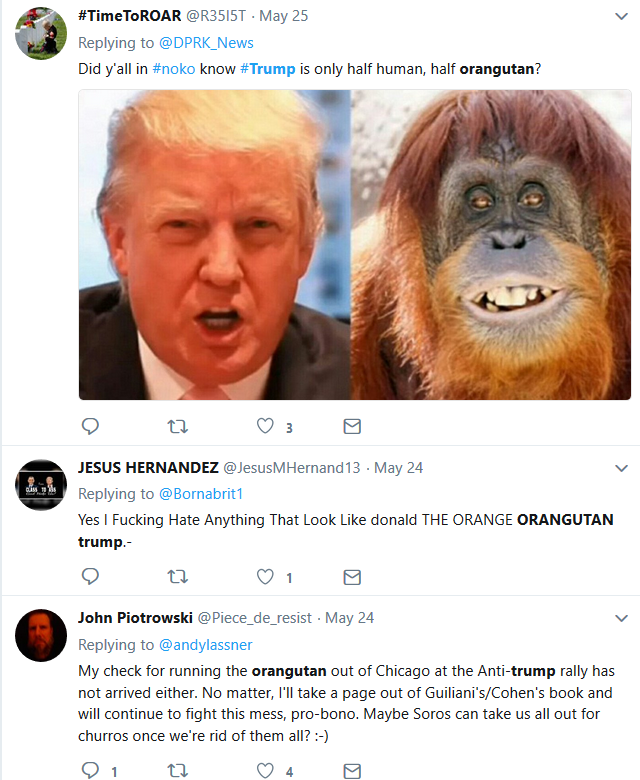 In the wake of Roseanne’s tweets (and similar instances that pop up daily), they think it their duty to scold her by chanting “Racist!! Racist!! Racist!! They really know no other reality. Any mention of Jarrett’s communist lineage will be looked upon by these same sorts as “conspiracy theory” stuff. Think I may have been too optimistic about all of it actually. Thinking a lot more about all this in recent days and starting to wonder. Most scripts have to be read and approved. Especially a high ratings show like this. Don’t know but now something isn’t sitting right with me. Don’t want to spend too much time on it because it’s a distraction. 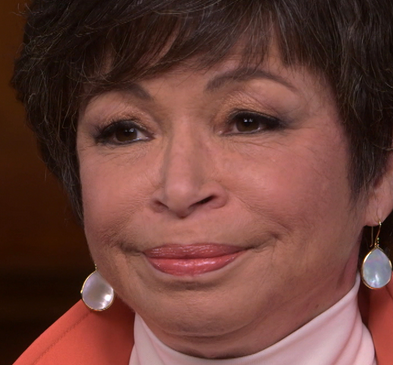 But all the pieces aren’t adding up and how quickly the show was cancelled for a comment that didn’t even name Valerie Jarrett but just gave her initials. It is sad though for those who don’t see what’s really happening, they’re all so taken in by whatever they’re fed. Saw something the other day where they kept mentioning VJ was African American to kind of subdue the belief that most were thinking she was not. 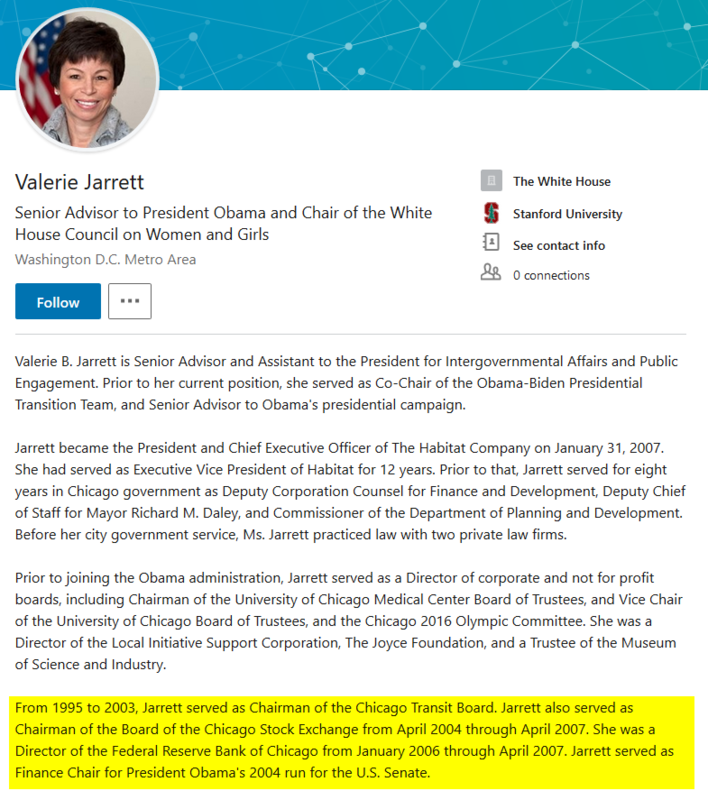 Vernon Jarrett’s birthday is 6/19/18? Not at the moment, no. Don’t have enough info on that subject to say anything profound. Love your work! 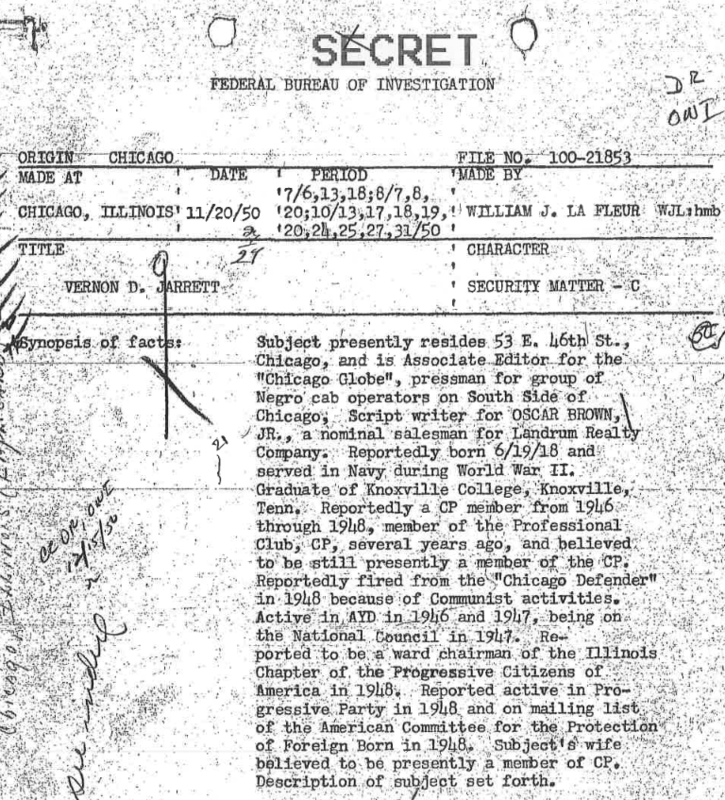 Curious if you or, others you know have researched WHO? I am late to the Q. To my now embarrassment, my e-mail contains the word pizza. We use to own a legit pizzeria. That was years ago now. I kept the address due to a fond memory. Sick, these sickos ruin everything they touch. This video has some good information about who is connected to whom. I’ve been reading your work consistently since your 5thAveAnon piece. Your humble, intelligent, consider all angles writing is like a diamond in the rough. 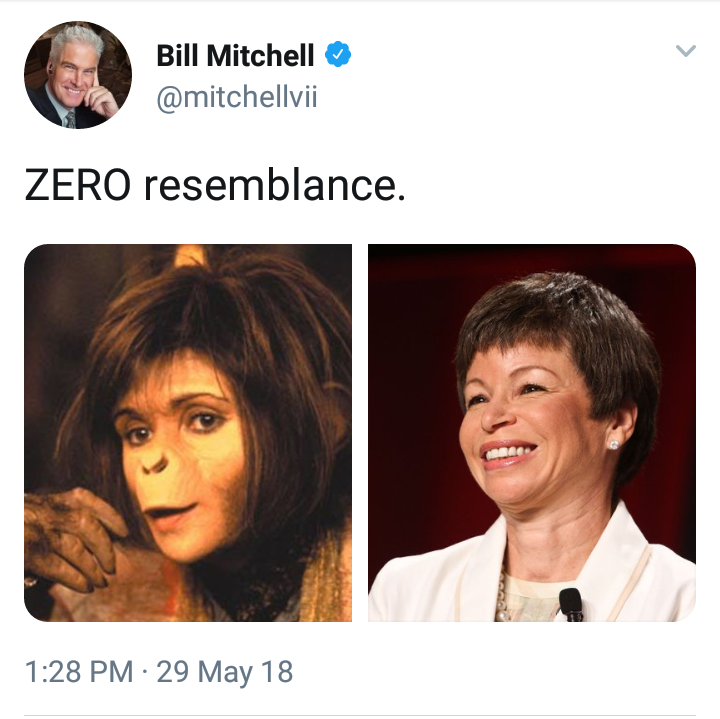 Now, as far as Valerie Jarrett is concerned – I read an amazing thread on Twitter a few months ago, I retweeted it, but I believe it was removed. 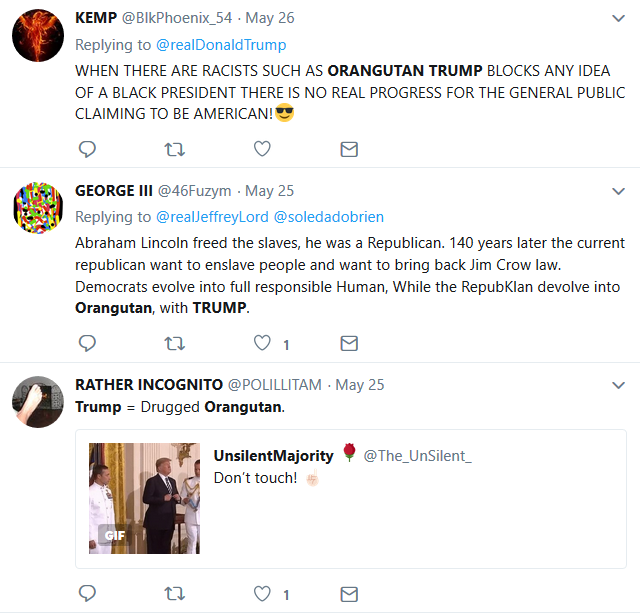 The thread included an image of an article VJ’s Father in Law wrote, and it was essentially calling for rich Arabs to fund the education and support young promising African American men in the United States. 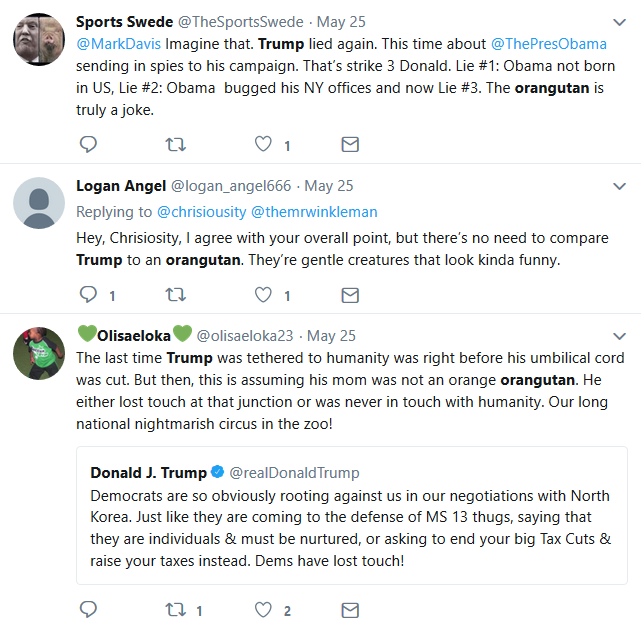 The thread continued on to tie Vernon Jarrett to Al-Waleed’s top lawyer, as the conduit for Barry Sotero’s education at Harvard. Then we come full circle with the WikiLeaks emails showing CitiBank (Al-Waleed) clearly directing Barry as to who would be in his cabinet. Anywho…love your work and appreciate your perspective. Because truth is racist. BTW great post Neon, good digging and excellent usable findings. What about Michelle Wolf ? 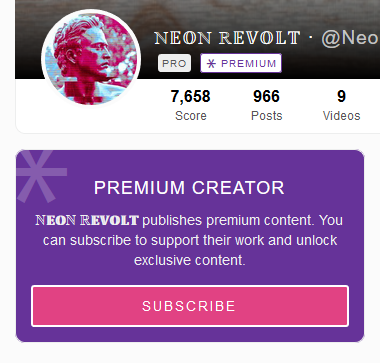 Thanks so much once again for your site .. How about a NeonRevolt image tshirt/sweatshirt ? That would be cool..
Those are cool too ! Though I meant the one above which I didn’t see, maybe I missed it ..
All best to you Neon Revolt and fighting the righteous fight . Great work. Mind blown! Now for the biggest question: WHERE IS Q? I’m apparently addicted and feel lost (and a little scared) without him/her/it/them posting. 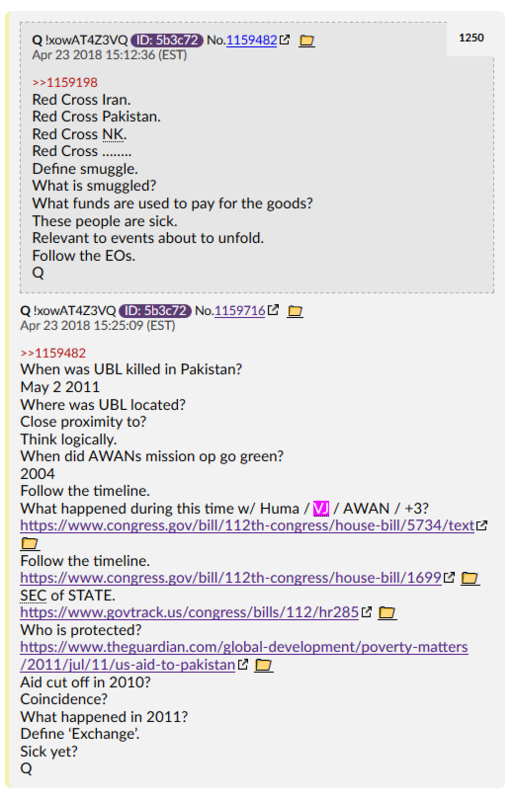 What is Q waiting for or is it over? Did something go wrong (and we’re all screwed, and about to be in some Luciferian’s crock pot)? 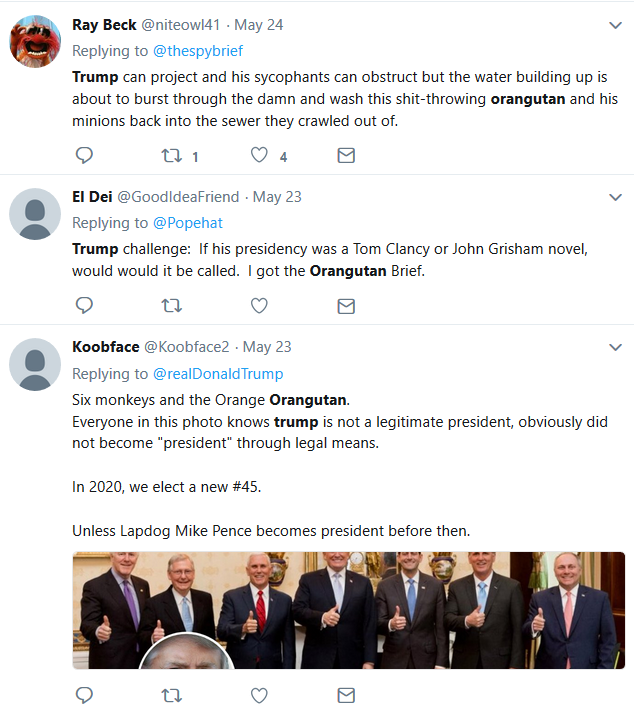 My finger is sore from refreshing the qanon.pub page. 10 days of Darkness, most likely. I expect him back 6/1 but we’ll see. The best decoder of them all. Amazing, amazing job. Thank you! And thank Q! How many other groomed commie/musloid leaders do we have in the works out THERE? They didn’t put all their eggs in BHO/VJ basket.